I can imagine the conversation, can’t you? “Good morning, is (insert your name) at home?” Oprah asks. “How are you? This is Oprah calling,” she says. “This is Oprah, Oprah Winfrey,” she says. Of course it’s highly unlikely Oprah does her own calling, so the entire premise of this blog post is tragically flawed. It’s assumed that someone on Oprah’s staff makes the call and then all of the follow-up calls as well. Not that I would know first hand. This was one of my 3 a.m. revelations. I’ve been working on promoting my novel and in doing so, trying out different things, like advertising, blog interviews, and radio. Some of these I entered into too lightly. I’m no celebrity and should not under any circumstances fly by the seat of pants as much as I do. Have you ever judged a guest on a talk show or on news broadcast? Of course you have. We all have. Most of the people we watch doing such interviews are actors or famous people. They have handlers, stylists, agents, publicists, etc. They could do these interviews in their sleep and even they become intimidated by Oprah. For celebrities, the greatest challenge during interviews and appearances is getting their ‘talking points’ across, promoting whatever they are trying to promote, and attempting to appear genuine so that people like you and me can relate to them. For people like us, writers, novice musicians, business owners, parents, everyday folks, being genuine is the easy part, we’re too real in fact. Our challenge is trying to appear expert in our field, or to at least appear halfway intelligent. The 20th Anniversary Collection of the Oprah Winfrey Show. I remember when Oprah’s show was just starting out. I was just starting college. I remember watching the intro and I swear in the original show, Oprah was seen walking on the city streets of Chicago. She was so likable, so real, so different from anyone else on television. More than anything, just like you, I always wished for an opportunity to sit on the couch across from Oprah. You know it’s true. It didn’t matter what genius landed you a spot on the show: #1 Widget Salesperson, Mother of the Year, it was a fantasy after all. Did you rehearse your interview in the bathroom mirror with a toothbrush as a microphone? In 1988 I watched and cheered, along with America, when Oprah strutted out on stage in her Calvin Klein jeans, wheeling the ‘wagon’ http://www.oprah.com/own-tv-guide-magazines-top-25-best-oprah-show-moments/Moment-3-Oprahs-Wagon-of-Fat-Video and I kept watching and being inspired by show after show. In 1996 when Oprah announced her Book Club, making authors famous overnight, I thought, this is it. This is how I will come to be on the show. In 1997, seven years out of college, I landed a job working in the male-dominated, hardware industry, and becoming a writer was still just a dream. I always wanted to go to Chicago and my major account headquarters was located in the windy city. Once, on my way to a meeting, I was tempted to skip it and go instead to wait in line as an audience member on the Oprah show. I still regret choosing the meeting over the show. Of course I would have been fired. In 2002, I left my career to become a stay-at-home-mom. I felt empowered to make this choice, for the good of my family. Four years later, in 2006, still believing I could do anything I set my mind to, my writing journey began. It was slow at first, but then I wrote with a vengeance. In 2011, I was still fine tuning my novel when Oprah announced her legacy, the show, was coming to an end. My heart sank. No more Book Club. Then, Oprah announced her new network and all hope was restored. I finished and published my novel and there was still hope that maybe somehow I might get my novel looked at by the staffers who handle Oprah’s book reviews. Of course, one novel does not a writing career make. One novel is but a leaf in the great ‘Amazon’ rain forest. But it is also the start of something potentially great. Maybe, I would even send a copy of this blog post via e-mail with a link to my book to Oprah’s staffers. Maybe I would properly explain the heart of the story. 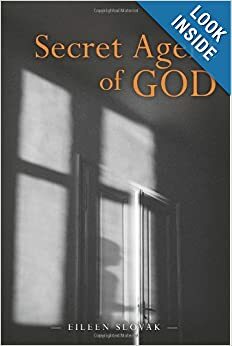 That on the surface it is a story about a young, reluctant psychic, named Janice Morrison, but underneath it is a tale about overcoming obstacles, about having faith in God, yourself and those you love. The only problem is, if Oprah ever really called, would I be ready? Would I believe it?